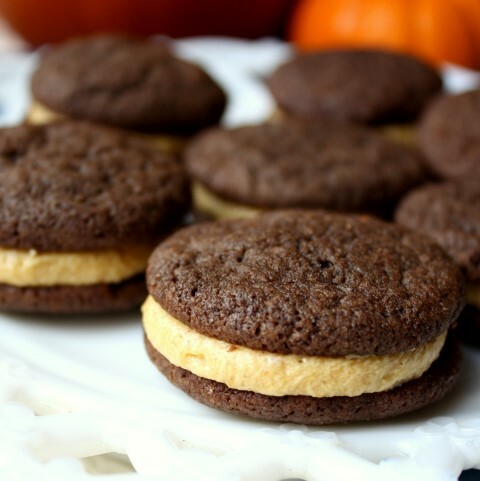 The verdict on these Chocolate Sandwich Cookies with Pumpkin Spice Buttercream was they’re absolutely amazing if you like pumpkin and chocolate together. If not, you’re better off searching for a different recipe for your can of pumpkin. 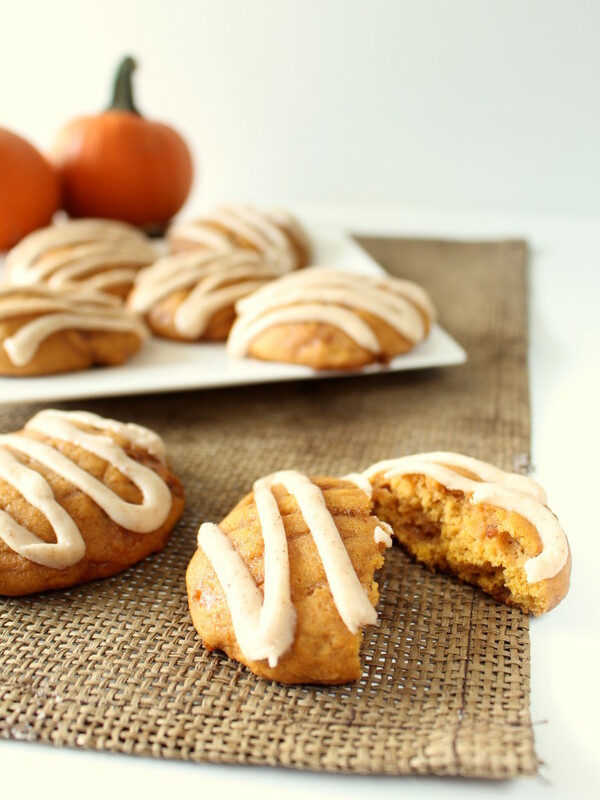 (Try out my Pumpkin Toffee Cookies or Caramel Pumpkin Milkshake!) Although, I’m not sure who wouldn’t like pumpkin and chocolate together. 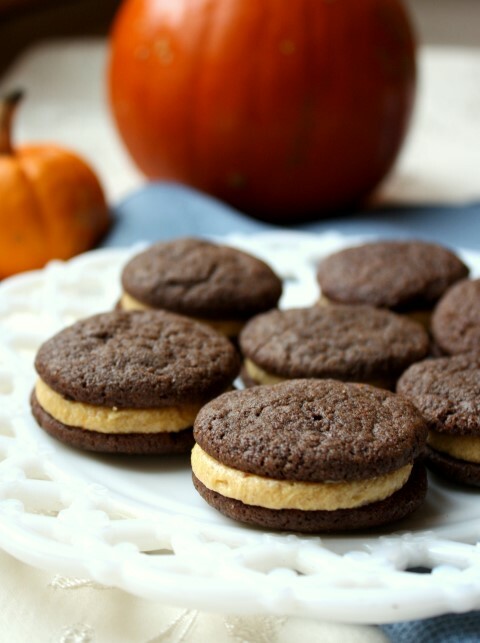 If you’ve read my blog for very long, you know I practically idolize chocolate and pumpkin. I made these sandwich cookies mini. They are only about 2 inches across, just because mini cookies are more fun and easier to handle when filling. To make the cookies, cream the butter and sugar until light and fluffy. Beat in eggs and vanilla. In a separate bowl, stir together the flour, cocoa, baking soda, and salt. Add the dry ingredients to the wet and stir until combined. Using a teaspoon of dough, roll the dough into balls. Chill them for 4 hours to overnight. Bake at 350 F for 7-8 minutes. Do not overbake. Remove from the oven and let the cookies cool on the cookie sheet for 2 minutes before removing to a wire rack to cool completely. To make the frosting, beat the butter and pumpkin in a mixer on high for 2 minutes. Beat in pumpkin pie spice, vanilla and powdered sugar. Use milk or additional powdered sugar to thicken or thin the frosting as needed. To assemble the cookies, spread a dollop of frosting on the bottom of one cookie and top with a second cookie. Perfect for fall! They look great Mallory! Pumpkin and chocolate together? Yes, please! These little cookies sound delicious. These are so perfect! I love sandwich cookies! Pinning! 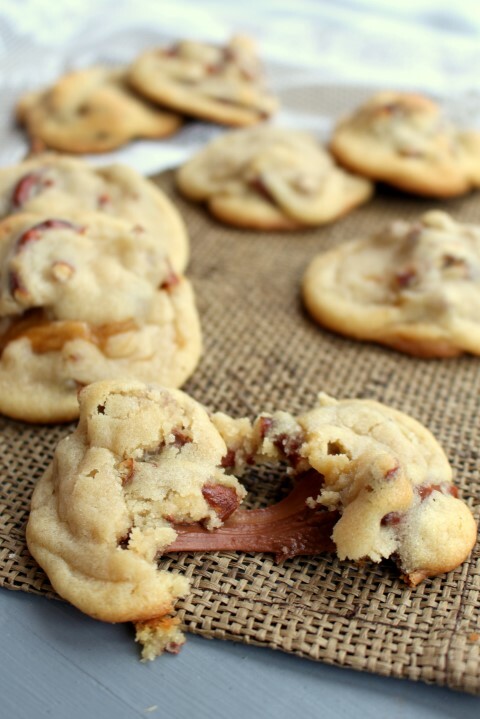 These cookies look so good, YUM! I live 8 hours away from my family, so I definitely can relate to needing someone to give all those goodies to! 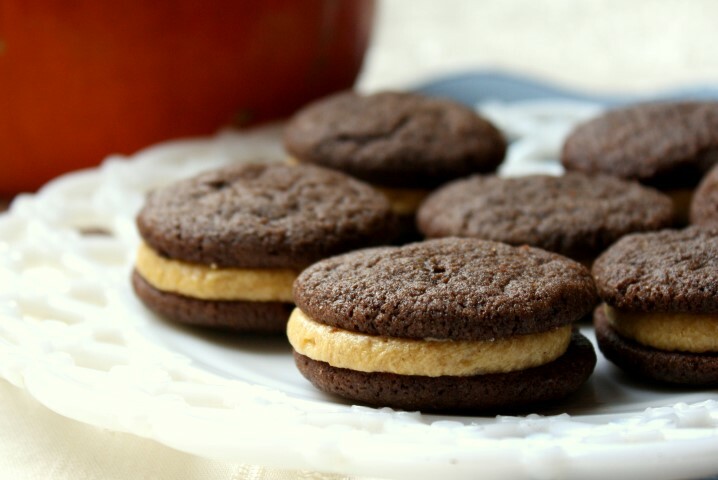 The Chocolate and Pumpkin Sandwich Cookies are perfect treat to celebrate autumn! A fabulous recipe!